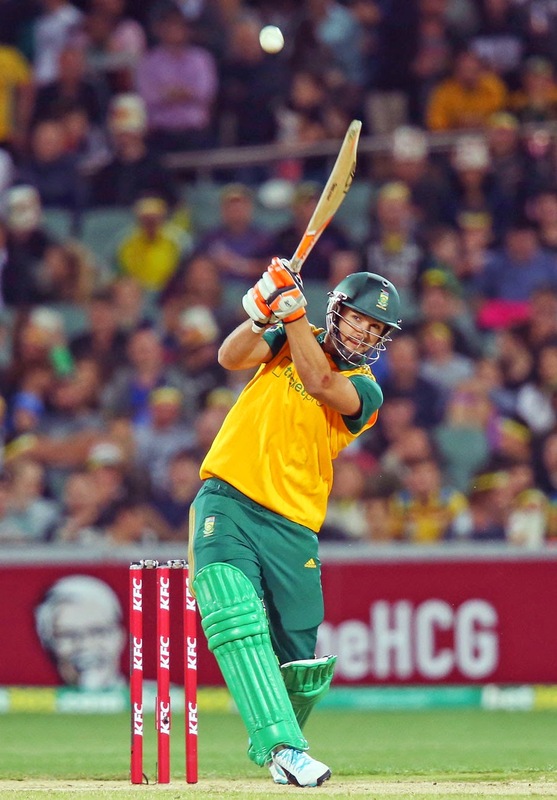 Kyle Abbott harried Australia's batsmen and Rilee Rossouw achieved the rare feat of putting Quinton de Kock in the shade during a stand of 129 as South Africa secured a vast opening win in the Twenty20 match at Adelaide Oval. Three days after they were comfortably beaten by a Cricket Australia Invitational XI in Sydney, the tourists combined impressively with ball and bat to deliver Australia's third consecutive international defeat, albeit against two distinctly different teams in two vastly different formats on opposite sides of the globe. The likes of David Warner, Mitchell Johnson and Glenn Maxwell were missed by the Australians, but it must also be acknowledged that Dale Steyn and AB de Villiers were among South Africa's absentees. Abbott and Rossouw were highly capable substitutes, the former's 3 for 21 and the latter's 78 from 50 balls the most telling contributions for JP Duminy's men. Rilee Rossouw is the Man of the Match for his 50-ball 78. While Bollinger was on the money upfront, the other bowlers lacked discipline. So, an emphatic win for South Africa. After the bowlers stifled the Aussies, Rossouw and Qdk led the chase with a breezy 129-run union. Rossouw was the chief aggressor with Qdk happy to play second fiddle. Though both fell at the doorstep of victory, it hardly belittled South Africa's all-round display.